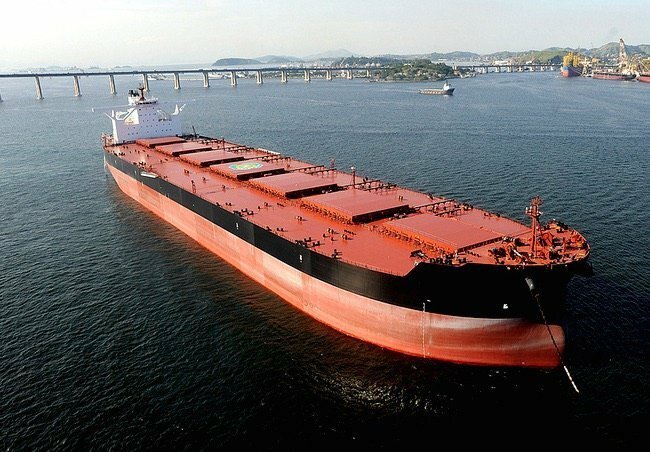 Brazilian iron ore miner Vale has started a new round of shipping capacity expansion via COA deals with South Korean and Chinese shipping companies. According to broker Intermodal, South Korea’s Pan Ocean, Korea Line, H Line, SK Shipping and China’s ICBC Leasing and China Merchants have ordered up to twenty 400,000dwt valemaxes at shipyards in the two countries. In the deals, a joint venture between ICBC Leasing and China Merchants will order 10 valemaxes, Pan Ocean will order four, while Korea Line, H Line and SK Shipping will each order two. The details of the COAs were not disclosed. According to a shipbroking source, the delivery of the ships are scheduled from 2019 onwards. Since China lifted a three-year ban on these huge iron ore carriers in 2015, Vale has been forging ties with Chinese state-owned shipping firms, winding down its own shipowning pursuits in favour of striking deals with dedicated Asian owners. The latest orders will add to dozens of existing valemax newbuildings ordered by Chinese companies last year, including a total of 30 VLOCs ordered by Cosco Shipping, ICBC Leasing and China Merchants under a series of 27-year COA deals. While busy bolstering COA ties, Vale has been selling off its old VLOC fleet to raise cash. In August, it sold two VLOCs to China’s Bank of Communications Finance Leasing, leaving it with only two in its fleet. A former senior official at Vale’s China operations told Splash that Vale is increasing its iron ore output and these new vessels will definitely be very well utilised. “Considering the increasing output volume, these vessels are very necessary, and very likely 30-40 more valemaxes will be ordered in the near future,” he said. Vale is now in the midst of ramping up production at its S11D Eliezer Batista Complex, the largest iron ore mine project in the world, which is expected to reach full output by 2018. The project will add another 90m tonnes to the miner’s capacity, pushing it over 400m tonnes per year. The slew of extra capacity hitting the dry bulk trades however will be a hammer blow for the sector which has seen signs of improvement this year after a protracted downturn that stretches back to 2008.